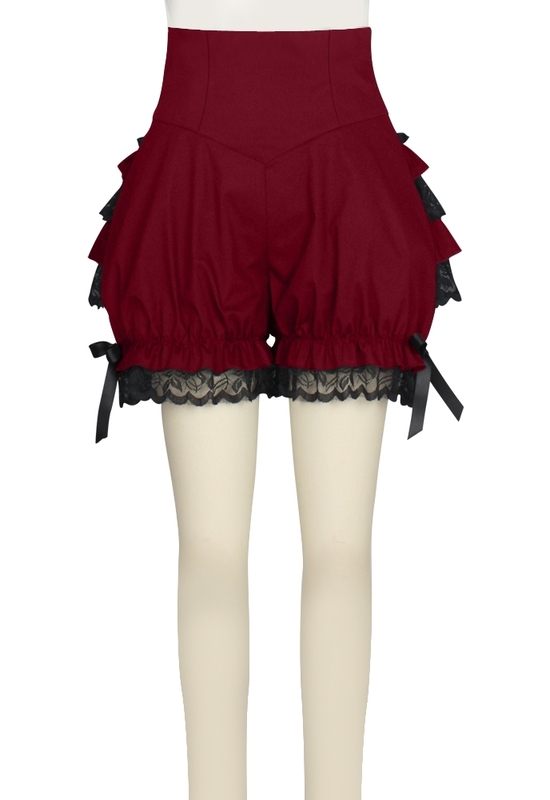 It's steampunk shorts with lace hem in front. Three layers with lace in the back. Ribbons in back center waist and sides bottom hem. Side zip. Standard size side seam approx. length: 18 inches; Plus size side seam approx. length: 20 inches.